Skycon is an India based software outsourcing company that focuses on highly qualitative, timely delivered and cost-effective offshore software development. SKYCON is an India based software outsourcing company that focuses on highly qualitative, timely delivered and cost-effective offshore software development. With a rich and varied experience in providing offshore software development and project management capabilities and stringent quality standards ensure us to develop solutions that give your business an edge over your competitors. Our global software outsourcing model makes sure we deliver maximum targeted result to YOU. "This is how we work for our client"
Requirement analysis is the most important and fundamental stage in SDLC. It is performed by the senior members of the team with inputs from the customer, the sales department, market surveys and domain experts in the industry. This information is then used to plan the basic project approach and to conduct product feasibility study in the economical, operational and technical areas. Once the requirement analysis is done the next step is to clearly define and document the product requirements and get them approved from the customer or the market analysts. This is done through an SRS (Software Requirement Specification) document which consists of all the product requirements to be designed and developed during the project life cycle. A design approach clearly defines all the architectural modules of the product along with its communication and data flow representation with the external and third party modules(if any). The internal design of all the modules of the proposed architecture should be clearly defined with the minutest of the details in DDS. In this stage of SDLC the actual development starts and the product is built. The programming code is generated as per DDS during this stage. If the design is performed in a detailed and organized manner, code generation can be accomplished without much hassle. Developers must follow the coding guidelines defined by their organization and programming tools like compilers, interpreters, debuggers, etc. are used to generate the code. 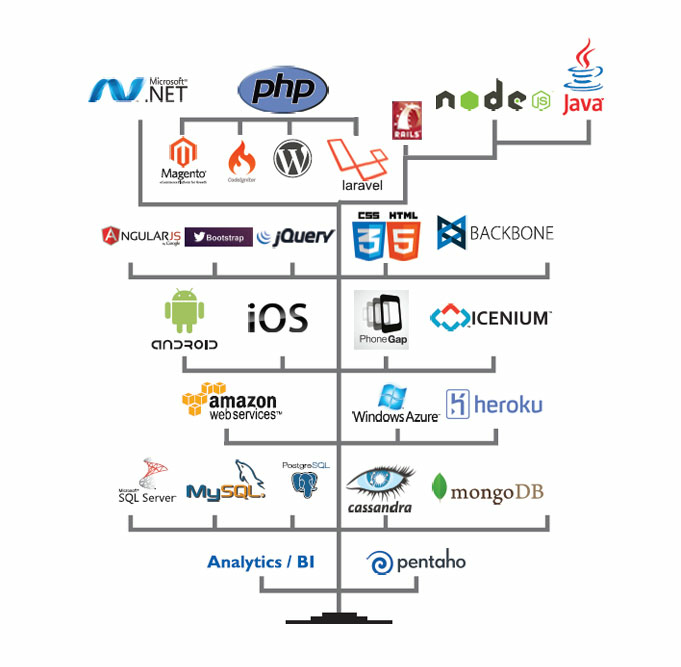 Different high level programming languages such as C, C++, Pascal, Java and PHP are used for coding. This stage is usually a subset of all the stages as in the modern SDLC models, the testing activities are mostly involved in all the stages of SDLC. However, this stage refers to the testing only stage of the product where product defects are reported, tracked, fixed and retested, until the product reaches the quality standards defined in the SRS. Once the product is tested and ready to be deployed it is released formally in the appropriate market. Sometimes product deployment happens in stages as per the business strategy of that organization. The product may first be released in a limited segment and tested in the real business environment.After the product is released in the market, its maintenance is done for the existing customer base.